Refresh, hydrate and quench your skin with our more than rose hydration mist. Rose is an intoxicating aroma that is one of the most revered essential oils around the world. Known as the Queen of essential oils, rose will not only repair and hydrate your skin it will awaken your senses and calm your mind. 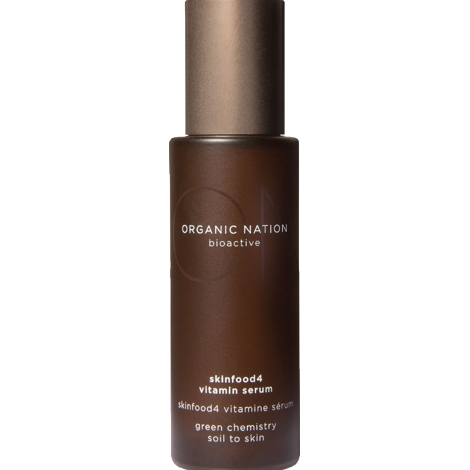 Organic Nation’s more than rose hydration mist is blended with supporting herbs such as Aloe Leaf Juice to increase hydration and calm, along with Wild Berry Harvest, a bioactive complex derived from 3 indigenous Australian superberries. Soil is where all the ingredients start, and the skin is where it finishes. There is such a wide variety of quality in the farming and processing of plant material that by simply having a botanical as part of a product ingredient list is not enough. Many plant materials are processed using chemical solvents that enable cheap and quick processing of ingredients; but by doing this significant amounts of the benefits originally attributed to the particular plant are destroyed and lost. We believe that it is vital to know where your ingredients are farmed, processed and finally delivered to manufacture. We go to incredible lengths to ensure we are informed of the process and visit locations to be able to have a dialogue with our suppliers. In this way we can be confident that the ingredients listed will deliver the true potency of the actives to ensure performance. This is part of our passion. Alternative sustainable technologies have evolved so that using non-toxic natural and organic products does not mean sacrificing performance. State of the art science that involves potency and high performance to produce cosmeceuticals and certified organic ingredients can be achieved through applying Green Chemistry on the mega diversity of Australian natural plants with unique Superfruits that exhibit rare actives and precious essential oils. Green Chemistry is simply just a different way of thinking about how chemistry and chemical engineering can be done. Over the years different principles have been proposed that can be used when thinking about the design, development and implementation of chemical products and processes. These principles enable scientists and engineers to protect and benefit the economy, people and the planet by finding creative and innovative ways to reduce waste, conserve energy, and discover replacements for ingredients that are undesirable. It is also important to ensure that the biodiversity of our planet is maintained when searching for new ingredients. Synthetic fertilizers used in conventional agriculture can be toxic to the planet and the human body. They are present in most facets of our daily lives from the food we eat to the water we drink. These toxins are linked to many cancers present in society today. Limiting our exposure to these toxins helps us to build and maintain a vibrant healthy lifestyle. We utilize predominantly Organic ingredients in our formulations. 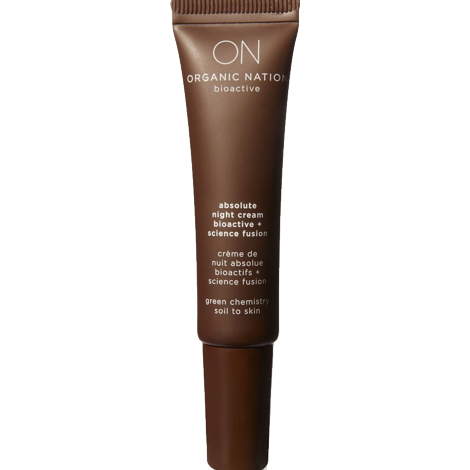 We disclose the percentage of Certified Organic ingredients. Occasionally particular ingredients are not available from a sustainable organic source, hence the percentage difference. The percentage of non Botanical Ingredients is due to the preservative, or in some instances the actives utilized. In many instances these ingredients initially started as a botanical, but were processed a number of times for stability and efficacy. In those instances we have classified them as non botanical. Certification of Organic Nation’s ingredients is performed by Mayacert. Mayacert is an international company that performs 16 different types of certification in 18 countries around the world including international accreditation of organic certification procedures; NOP-USDA United States, Norma Ecological Mayacert for EU equivalence with EC Regulations 834/2007 and 889/2008 ISO Guide 65/45011 by the entity Deutsche Akkreditierungsstelle – Purfwesen System Gmbh of Germany, DAkkS (member Dar-Deutsche Akkreditierungs Rat and IDA Internationals Acreditations MAYACERT Forum- with registration No. D-ZE-14225-01-00 and JAS through cooperative partnerships BCS and CERES. A rich intoxicating aroma of damask rose that will awaken the senses and calm the mind. Known as the Queen of oils damask rose is effective in reducing inflammation and redness whilst aiding in repairing capillaries. Breathing in rose can have a profound effect on the psyche, as well as slowing the nervous system and heart rate. 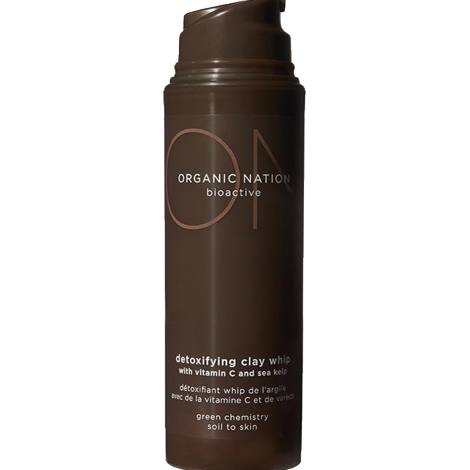 Produced by natural bio-fermantaion and recognised as the ‘gold’ standard in skin hydration. It attracts and holds water in the spaces between collagen and elastin creating a plumping effect and increasing microcirculation. This complex blend of indigenous ‘superberries’ provides immediate and longer term skin hydration whilst improving skin radiance. These 3 wise berries also act as a potent antioxidant. spray onto the face after cleansing or whenever your skin requires a pick me up, cooling, hydrating or calming. Aloe Barbadensis Leaf Juice*, Polysorbate 20, Water (Aqua), Glycerin, Alcohol Denat., Terminalia Ferdinandiana Fruit Extract, Tasmannia Lanceolata Fruit Extract, Syzygium Leuhmanii Fruit Extract, Kunzea Pomifera Fruit Extract, Sodium Hyaluronate, Phenoxyethanol, Sodium Benzoate, Potassium Sorbate, Rosa Damascena Flower Oil, Lactic Acid, Vaccinum macrocarpon (Cranberry) Fruit Seed.